Clark Greg first sauntered onto the small screen for me as Richard on The New Adventures of Old Christine. Sinc that time, he has taken a much bigger role in our geeky universe playing the ever-recurring role of Agent Coulson in the MCU. 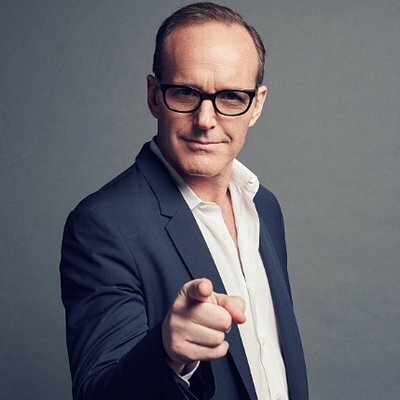 Agent Phil Coulson – Iron Man – Iron Man 2 – Thor – The Avengers – Agents of SHIELD – Captain Marvel – Agent Coulson was the lynchpin for the first part of the MCU. He had small roles in some that allowed him to create this connection that worked. After meeting the character in Iron Man, we developed a relationship with this character and only Gregg could have created that connection. The West Wing – Not for nothing, but he was an FBI agent on The West Wing, one of my favorite political dramas. The New Adventures of Old Christine – Gregg played Richard versus Julia Louis-Dreyfus’s Christine. he was her ex but he was still a huge part of her life. Such terrific chemistry. ‘The Avengers’ is exciting on the level ‘The Matrix’ or ‘Indiana Jones’ was when I was kid. I think it will be timeless.